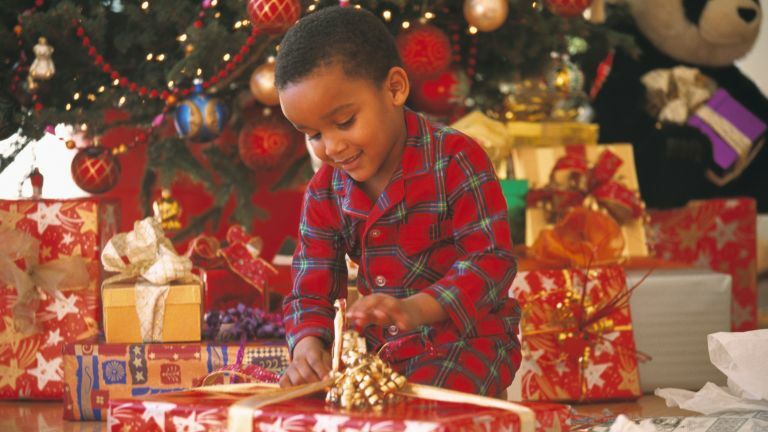 Choosing Christmas gifts for children can be a challenge, as it's easy to fall out of the loop with regards to what boys (and girls) really want. If you're looking for something a little less obvious than the stereotypical football, toy sword or remote control car, you're sure to find inspiration with our pick of the best Christmas gifts for boys. Find more Christmas gifts and decorations in our buyer's guides. And, take the legwork out of your Christmas shopping by checking out the Real Homes team's top 50 Christmas gifts for 2018: we want them (and so will you and your friends and family). A favourite from the gift guide, this Green Dragon Wing and Hat Set from Not On The High Street is hand printed and designed to set fire breathing imaginations alight. Perfect for kids who love dressing up, make-believe play and all things mythical, this statement costume is designed using natural, handmade materials. What's not to love? Gently stepping from mythical dragons to their real life (be it extinct) counterparts, we love this Jellycat Bashful Dinosaur Soft Toy available from John Lewis & Partners. Soft and beautifully designed, these gorgeous soft toys from Jellycat are available in a range of species. Complete with helicopter, a rescue boat that actually floats on water and a surfer in need of rescue from from the jaws of a shark, the Playmobil City Action Coast Guard – an exclusive at John Lewis & Partners – makes a great gift for children fascinated by the emergency services. Want to upgrade the Coast Guard Rescue Boat? Pick up an Underwater Motor, too. As children get older, it becomes increasingly important to allow them the freedom to reflect their style and personality in their bedroom. We love these Personalised Sports Ball Cushions from Not On The High Street, as they skilfully strike the balance between tasteful to adults and appealing to children. Chances are you remember wooden train sets from your own childhood; the good news is that they're as popular as ever. This 120 Piece Train Set from John Lewis & Partners is a great starter kit and can be expanded with a Railway Expansion Pack, Shed Engine and even a Mountain – who knew? A console unlike anything else on the market (so the techies tell us) the Nintendo Switch offers the versatility of connecting to the TV at home while also functioning as an on-the-go handheld device with a 6.2 inch screen. For the sake of sparing you all the gaming jargon this is, in short, what all the kids want this Christmas. A cult Christmas present, Guinness World Records 2019 provides entry into a world of weird that children just can't get enough of. This year's copy contains the world's longest fingernails, the largest yoyo and the biggest annual food fight between its covers, making it prime reading material for Christmas Day. Puppet theatres are a popular choice for children with vivid imaginations and a love for telling stories. We love this Tidlo Wooden Theatre from Amazon which transforms, magnificently, into a market stall when turned around, allowing for twice the fun. A best seller on Amazon, Randomise is a fun and interactive game with laughter and creativity at its core. Inclusive with a simple set of rules, over one million possible combinations mean that families can expect to play time and time again without getting bored. Designed to be small in size, Randomise is easily transported, making it popular for travel and long journeys. Offering hours of fun, this Star Play Tunnel from Not On The High Street is perfect for use indoors and outdoors. With a pop-up design (which we love) it's easy to take your tunnel to the beach or park, where it provides a great starting point for imaginary play. And if the kids don't love it, channel your inner dog-whisperer and consider entering the family pooch at Crufts next year. Based on an old fashioned favourite, what's not to love about these Natural Wooden Skittles from Not On The High Street and their cute, animal finish? Perfect for the beach, park, garden or in the house (maybe not) they're a fun gift idea for sport loving boys and girls. An essential for every child's Christmas list, we love these Fire Engine Pyjamas from M&S. Perfect for little ones who love all things fire engines, they're made with cotton for maximum comfort and movement. First it gave us the flossing, now Fortnite is back with a modern twist on the nation's favourite board game: Monopoly. If you're looking to prise your kids away from TV and computer screens this Christmas, the board game edition of the (undoubted) video game of the year may be your best bet. Looking for more gift inspo?